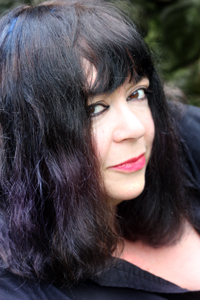 Kalamazoo College announced today that Writer in Residence and Assistant Professor of English Diane Seuss ’78 will receive the 2017 Florence J. Lucasse Fellowship for Excellence in Scholarship. 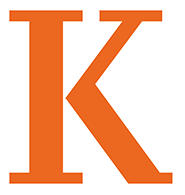 It is the highest award bestowed by the Kalamazoo College faculty, and it honors the recipient’s contributions in creative work, research and publication. Seuss is the 28th person in the College’s history to receive the award. Seuss was named one of two finalists for the 2016 Pulitzer Prize for Poetry, a first in the history of Kalamazoo College. She is the author of three volumes of poetry, most recently Four Legged Girl, and she has a fourth book of poems forthcoming from Graywolf Press. She is every bit as remarkable a teacher as she is a writer. She is a previous recipient of the Florence J. Lucasse Lectureship for Excellence in Teaching, and many of her students have been accepted into the most prestigious M.F.A. programs in the country. Poetry, she says, holds space for everybody. A ceremony to confer the fellowship for excellence in scholarship and creative work will occur in spring term, and at that event Di will give a presentation, more than likely a delightful hybrid of poetry, story and lecture. The author of this article can hardly wait. This entry was posted in Fine and Performing Arts, News Stories, People in the News and tagged alumni, awards, English, faculty, poetry, . Bookmark the permalink.